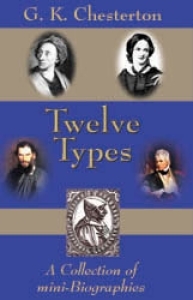 Twelve Types is a collection of short biographical essays, by one of 20th-century England's greatest essayists. In keeping with the spirit of IHS Press, that there is a Catholic way to look at everything, this book evaluates the place of such figures as Tolstoy, St. Francis, Savonarola, William Morris, and others, in the history of the West and from an unabashedly Catholic perspective. 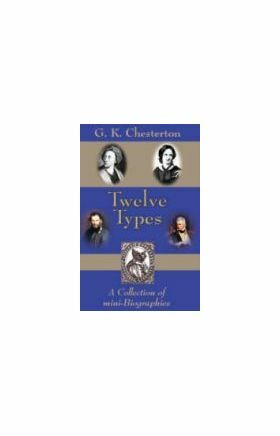 With typical wit and flair, Chesterton accomplishes what modern biography most often fails to do: discuss the important and central elements of the characters it presumes to examine, while omitting tedious discussion on matters of little import. Chesterton looks at the souls, the characters, and the lives of some of the West's most important figures, providing modern readers with a sane and Catholic orientation to their approach to these great individuals. Originally published: London, 1905. IHS Press is pleased to present a new Preface to this edition by Dr. Malcolm Brennan. Malcolm Brennan is Professor Emeritus of English Literature at the Citadel, South Carolina, and is the author of numerous works, including a collection of essays on the history of the English martyrs. The social doctrine isn't just about economics. Make this slim volume part of your Catholic cultural library today!